With the advantage of AWD, the Christini 450 Explorer is an unstoppable motorcycle that can follow you in your wildest adventures. It is based on the AWD military but it comes in a friendlier package which puts more accent on comfort and versatility. The motorcycle’s center piece is represented by a 450cc, liquid-cooled, single cylinder, four-stroke engine with Electronic Fuel Injection (EFI). The unit breaths through an aluminum exhaust and is mated to a five seed wide ratio transmission with mechanical clutch. The stopping power is handled by front and rear 240mm (9.4″) single disc brakes grabbed by dual-piston calipers. Among the features offered for the 2014 Christini AWD 450 Explorer you’ll find a skid plate, hand guards, an extended range rear rack tank and a cooling fan for slow speed crawling. Christini AWD 450 Explorer comes with a base price of $9595. 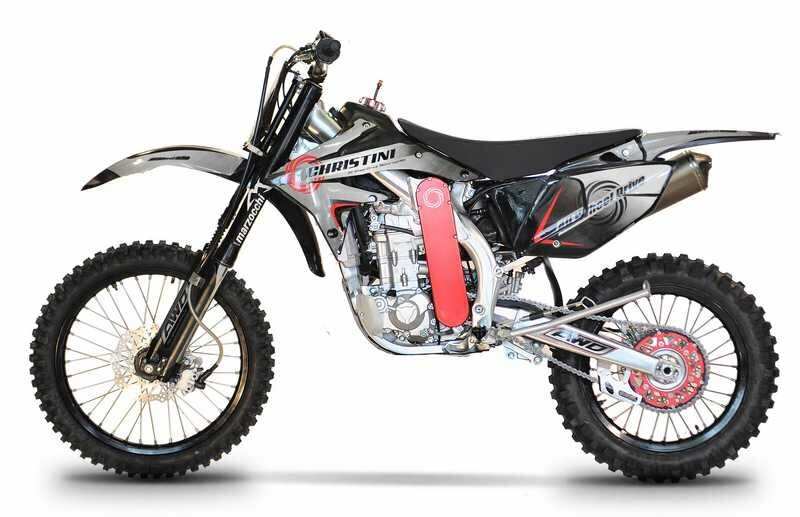 Hit the jump for more information on the Christini AWD 450 Explorer. Based on the AWD 450 Military Edition bike with a Street Legal package, the explorer offers the adventure rider a smaller platform to go on the shorter trips, but in a way impossible on a standard bike. With the power of AWD, the new CHRISTINI EFI System, Skid Plate, Hand Guards, Extended range rear rack tank, and a cooling fan for slow speed crawling, the Explorer will get you to where you want to go. Start on the road, and then Hit the trails on the AWD 450 Explorer. Go where others can’t, and make your ride on the Explorer and Adventure! * MSRP excluding tax, license, registration, $350 shipping or destination charge.